Join us at the Cyclist Connection shop for a fun-filled evening centered around Nutrition. Featuring guest speaker Colleene Weiser, Founder and Instructor at Fitness Firm located in the heart of Canal Winchester. Colleene is joining us to discuss Nutrition and how to use what we eat to our advantage when striving to meet fitness goals as well as what and how to eat when riding. Sara Molski, a brand representative from Juice Plus+ alongside representatives from other nutritional products will be in attendance. Setting a New Years Resolution centered around fitness? Let cyclistconnection help you reach your goal with our annual Resolution Challenge. If you are interested, bring your bike to the social and we can get you signed up! 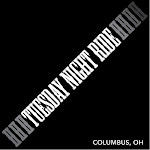 This is a FREE event offered to any lady that rides a bike, has interest in riding or nutrition. Invite your friends and come socialize with cyclistconnection's WomenSocial! Tern Eclipse S11i folding bike | Fully Loaded!